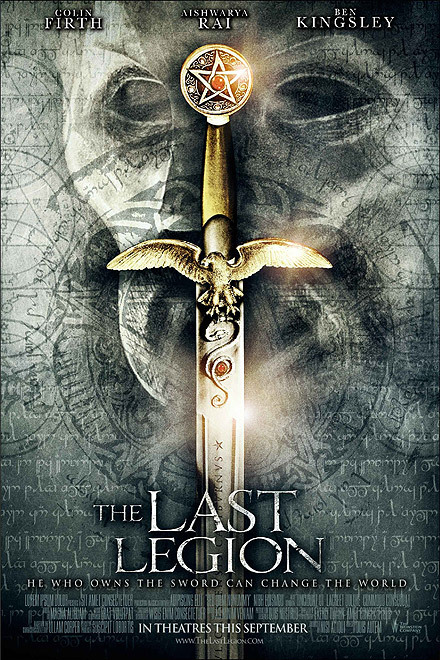 “The Last Legion” is a fantasy action-adventure in the vein of “The Sword and the Stone” set against the fall of Rome and its last emperor, 12-year-old Romulus Augustus (Thomas Sangster) is crowned emperor of Rome … but for only one day when the empire falls into terrible anarchy. Banished to the island of Capri to live for the rest of his life, Romulus finds the legendary sword once owned by Julius Caesar that is known as “excaliburnus.” With the help of his teacher (Ben Kingsley) and the last loyal legionnaire (Colin Firth), Romulus escapes the island, goes to Britannia and finds soldiers to fight for the final glory of the Roman Empire. Next post: Bal Ganesh, a 3D animated movie! Previous post: Is Shilpa Shetty the New Bond Girl ?